This pleasant park in the centre of Hamilton was once the garden of William Perot, Bermuda’s first postmaster. 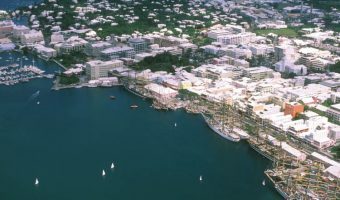 His house, Par-la-Ville, is now home to the Bermuda National Library and the Bermuda Historical Society Museum. In 2012 the park, previously called Par-la-Ville Park, was renamed Queen Elizabeth Park to mark the Diamond Jubilee of the British monarch. A plaque commemorating the event stands near the main entrance. The park links the western business district of Hamilton with its retail centre. During the daytime, many office workers choose to take their lunch in this city centre oasis. With its winding paths, shady trees, water features, and flower beds it offers a welcome respite from the daily grind. Sculptures from the collection of the Bermuda National Gallery have recently been added to the park. They include the Birds of Flight, a steel sculpture by Hungarian George Gach, Preying Mantis, a bronze by American Berthold Shiwetz at the water feature, Woman with a Cloak, by Mexican Victor Hugo Castaneda, and Student, a Shona sculpture by Zimbabwean Jonothan Mhondorohuma. Queen Elizabeth Park is open every day of the year from 7.30 am until sunset. In the summer months you can come here on Saturdays and see the island’s fantastic Gombey dancers. There are two major entrances to the park. 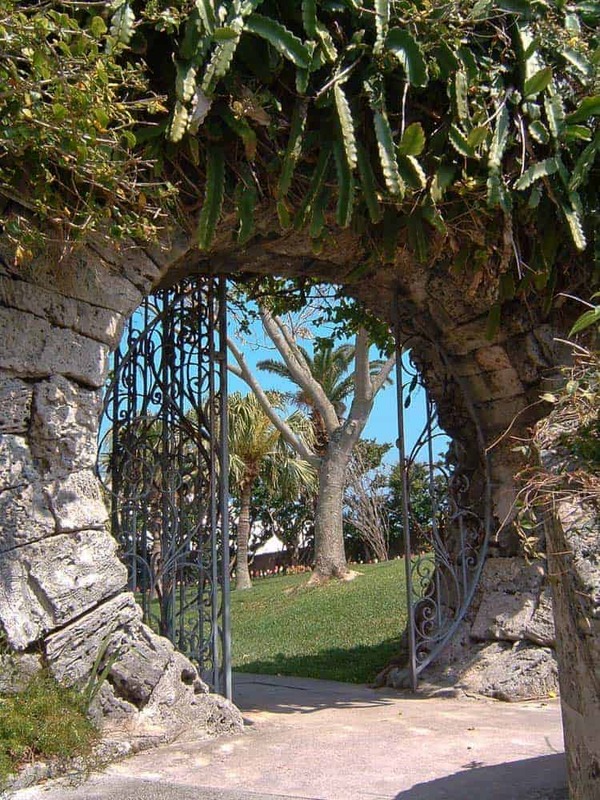 Enter through the one on Par-la-Ville Road and you’ll pass through Bermuda’s oldest moongate. The other entrance is on Queen Street and just across the road from Hamilton Ferry Terminal. Entry is through an ornamental iron gate, flanked on one side by the Perot Post Office and on the other by the Lemon Tree Café. The Perot Post Office dates back to the time of William Perot and is a working post office with a fantastic interior. It’s well worth popping in just to admire the antique fixtures. The Lemon Tree Café is a lunch sport during the day and on Friday evening hosts one of Hamilton’s most popular happy hours. If you’re looking for a park with a view of the water, go to Barr’s Bay Park. It’s just a couple of hundred yards from Queen Elizabeth Park. Map showing location of Queen Elizabeth Park. This is a very nice park with lots of nice sculptures and a fish pond. It is very close to the ferry terminal so was convenient for us coming from the Dockyard. Come here on a Saturday afternoon in the summer and be entertained by Bermuda’s famous Gombey dancers. Gombey Saturdays in the Park runs from June 7 to October 25 2014. The Gombey dancing starts at 12.40 pm and goes on until 1 pm. We visited the park and had a pleasant afternoon. Afterwards we went to the Lemon Tree Café. It was more of a deli than a restaurant but we ate our wraps in their courtyard. This is a very pretty little park. We enjoyed visiting and checking out the flowers and sculptures. Friendly cats, eager to share a meal, were always part of the appeal to me. A gem of a little park! A lovely place. It also has a fish pond. Stop in the Post Office while you’re there. It’s a real treat. The Lemon Tree is next to the park is a good place to grab a take out lunch to eat here. The park now has a sculpture garden. It officially opened last week. Delightful park at the northern end of Hamilton. In the summer months it’s the venue for free, open-air concerts.